A lot of the times we have patients walk in asking us for ‘cheap” readers - “Cause I don’t need a prescription” A plus one is a prescription albeit an “of the shelf” and not customised prescription it is still a prescription. Picking a power because they show instant magnification can be tricky and cause problems. The eye test is an essential health check where Your Optometrist can pick up conditions such as cataracts, glaucoma and diabetes. With some disorders you may not experience symptoms and early detection is also often important. ALWAYS have a pair of prescription reading glasses as your main reading glasses, to use for prolonged periods of close work. Ready readers are only to be used for reading or close work. Not only is it illegal to wear them for distance vision, it could be dangerous to drive or to walk around in them. ONLY use them if your prescription in both eyes is similar and only for short periods of time. If you have moderate or high astigmatism (1.00 dioptre or more) the readers should not be used. Astigmatism is a perfectly normal eye condition where the cornea of the eye is irregularly curved and ready readers do not correct this. TRY the ready readers on before buying them. BEWARE of very cheap ones as the lenses are often inferior with distortions, warped or pitted and present with inadequate quality. Also they will not last and break easily as most reading glasses are subjected to a lot of wear and tear. The main problem with these ready-made reading glasses is that the optical centres (the central part of the lens where the eye should be looking through) are usually not positioned accurately. They should be placed at around 62mm apart for reading depending on the distance of your pupils, but this will rarely be the case for ready readers. 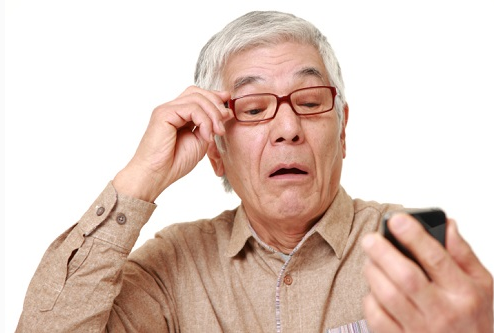 Inaccurate ocular centres can lead to blurred vision, headaches and eyestrain. Try the glasses on for at least 2 minutes and check to make sure the vision is comfortable through each lens and with both eyes together. If you follow these tips it can be a good idea to keep a few around the house but they are not designed to worn for prolonged periods or computer work but for short intervals. Use them sensibly as a substitute for your prescription glasses for short spells and emergencies.